Angoleiros Los Angeles are happy to welcome Mestre Cabello back to Pieter for a weekend of Capoeira Angola workshops. 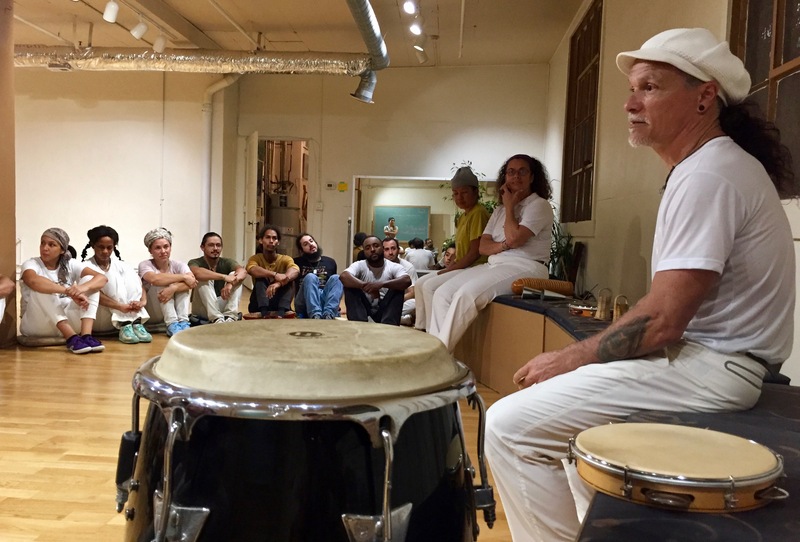 M. Cabello is a brilliant capoeirista, musician, and teacher of the art, and he brings his absolutely unique energy back to Los Angeles for the Cinco de Mayo weekend (Saturday May 4, 10a-3p, and Sunday, May 5, 12-5p). Each five hour workshop is $40, and participants are encouraged to bring instruments. Please wear shoes, and park on the street. Angoleiros Los Angeles have been training Capoeira Angola movement and music at Pieter since 2011. Classes every Wednesday nights from 8-10p, and Saturday mornings from 9-11, open to all levels, and $10.